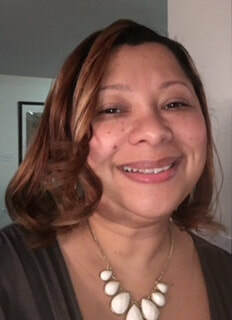 Geraldine Vert, MSW, LCSW graduated with a Bachelor of Science (BS) in Behavioral Neuroscience from Northeastern University and a Masters of Social Work (MSW) from Bridgewater State University. She has completed various certificate programs in trauma, addictions and racism. Geraldine is a Licensed Certified Social Worker who has over 18 years of experience in the field of child protection working with families who are dealing with mental health, substance abuse, domestic violence as well as varying issues. Her strengths-based, client-centered, and family approach has allowed for many families to reach their overall treatment goals. Through her work, she hopes to bring all that she’s learned in her work with children, adolescents and families to support them in their day to day life. Insurances Accepted: Allways, Beacon Health Options, Harvard Pilgrim, Optum, United Behavioral Health, United Health Care, and Unicare. Geraldine ​also accepts self-pay clients.